Gather all Pokemon Fans! Be the first to catch Ash, Pikachu and their 5 companions save the day at Jurong Point or Plaza Singapura. 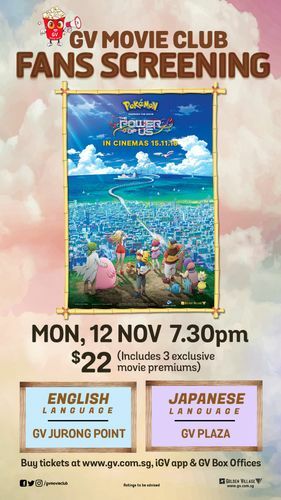 Get ready to relive your childhood memories and be one of the first to catch the movie in Singapore! There are two screening sessions—one in English and one in Japanese. Price is inclusive of 3 premiums.